Sunscreens are products combining several ingredients that help prevent the sun’s ultraviolet (UV) radiation from reaching the skin. Two types of ultraviolet radiation, UVA and UVB, damage the skin, age it prematurely, and increase your risk of skin cancer. UVB is the chief culprit behind sunburn, while UVA rays, which penetrate the skin more deeply, are associated with wrinkling, leathering, sagging, and other light-induced effects of aging (photoaging). They also exacerbate the carcinogenic effects of UVB rays, and increasingly are being seen as a cause of skin cancer on their own. 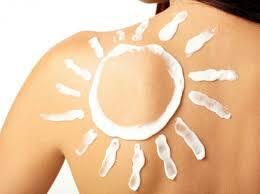 Sunscreens vary in their ability to protect against UVA and UVB. Anyone over the age of six months should use a sunscreen daily. Even those who work inside are exposed to ultraviolet radiation for brief periods throughout the day, especially if they work near windows, which generally filter out UVB but not UVA rays. Children under the age of six months should not be exposed to the sun, since their skin is highly sensitive to the chemical ingredients in sunscreen as well as to the sun’s rays. Shade and protective clothing are the best ways to protect infants from the sun. Buy a high-quality product with an SPF of 15 or higher; check its ingredients to make sure it offers broad-spectrum protection; and decide whether it works better for everyday incidental use or extended outdoor use. Finally, look for The Skin Cancer Foundation’s Seal of Recommendation, which guarantees that a sunscreen product meets the highest standards for safety and effectiveness. Once you choose the right sunscreen, use it the right way. But remember, you should not rely on sunscreen alone to protect your skin against UV rays; it is just one vital part of a complete sun protection program. By following our Prevention Guidelines, you can lower your risk of developing skin cancer, while helping your skin look younger, longer.